Starting a company nowadays is ridiculously easy. You don’t need funding, employees or an office. Becoming an entrepreneur or founder is just a matter of having an (good) idea and you’re off. Times are good, right? Yes, times are perfect and there’s a tool, service or product for every problem you could possible face on the road to building your startup. Unfortunately (or positive if you’re in the consulting business like me) there’s no tool for finding your target audience yet. When it comes down to picking your customer persona to focus on, decisions still depend solely on human beings. While this may sound obvious or dead simple, most (early) startup failures are still due the fact that the chosen target audience was either too big or not willing to pay for the product after all. Let’s focus on the first problem, the target audience. Who is your (ideal) customer, where do they hang out, what are they currently using to ‘solve’ the ‘problem’? There are thousands of questions like these that would potentially help you crack the case about the perfect target audience. When you start with a small(er) target audience, it doesn’t mean you can never broaden it over time. The magic lies in being brave enough to even dare to start small. This may sound counterintuitive but if you focus on less, you will eventually reach more. There’s a common fear amongst founders that if they start small, they will lose potential customers because they don’t specifically pitch their product in their interest. The funny thing is though, that the opposite is true. I found a new ‘trick’ to convince people to start thinking about focussing on niche(s) or narrow their target audience for starters. It’s kind of silly, but gets the the job done almost all the time. 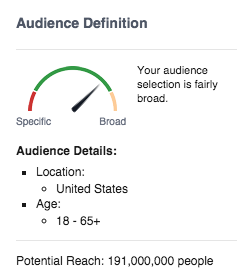 I setup a new Facebook campaign and don’t do anything in the targeting at all besides the country. For my own country, The Netherlands, this would be a potential of 9 million people. If you would decide to target the United States as the only option in the targeting, you would have a potential of 191 million people. You do the math on CAC and CPC. It simply won’t be effective, would cost you a small fortune and you just made a fool out of yourself. 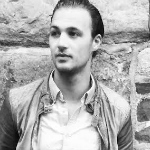 Bas Prass is a growth hacker for startups, investors and corporates at Off The Record. This post was originally published on Medium.